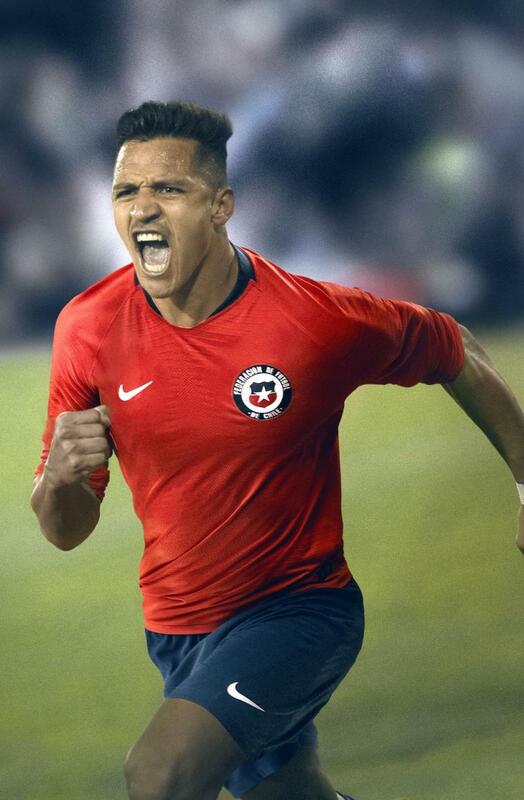 The solid red home jersey has a faint pattern on the sleeves. A star taken from the federation badge is printed inside the blue collar. A blue strip on the outside also includes the star. Sewn on badge. Embroidered swoosh. 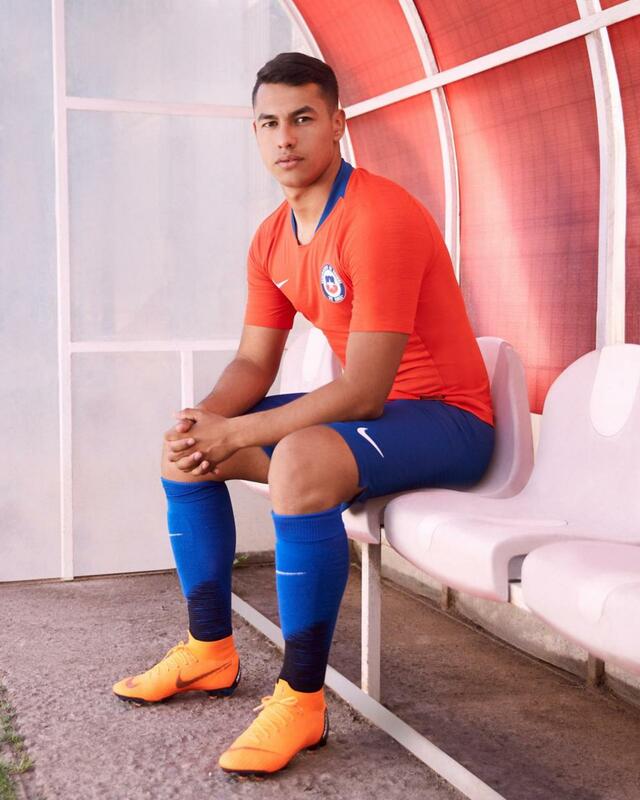 This is the new Chile 2018 Away football shirt by Nike. 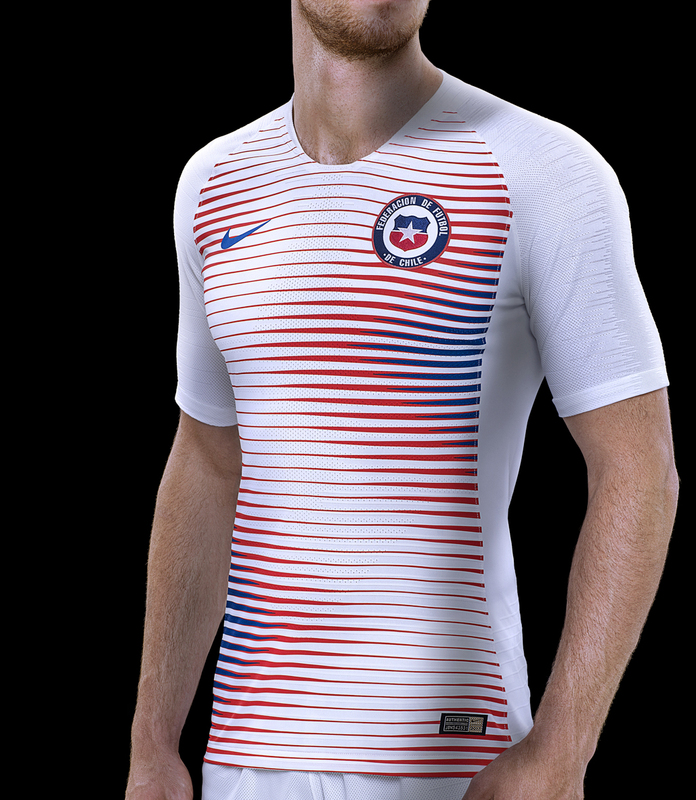 The graphic on La Roja’s away jersey was inspired by the Andean condor, Chile’s national bird.